When you are given a new project at work, you manage it like a pro: What’s the end goal? When do we need to be there? How much can I spend? Who’s on the team to help me get there? Motherhood can be one of the toughest projects to prepare for. No new mum can be expected to walk away from the birthing process with all the energy and knowledge one needs to rule the motherhood world! 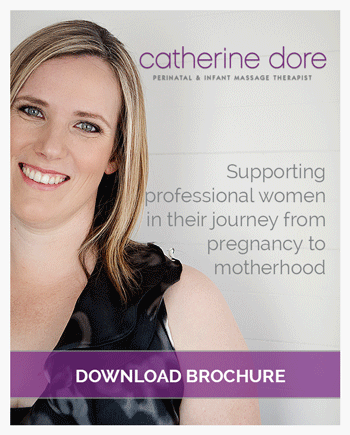 There are some key resources which can help a new mum more easily manage the new mothering life. Because, let’s face it, the logistics of life still need to get done! The following tips are things that I’ve learned from listening to my infant massage mums, and they help address the frustrations often shared by my new mums when they are on my massage table in the weeks after giving birth. If you find them helpful, please take them on board, and share them with your new-mummy friends. By the same token I would love to hear what services or methods made the biggest difference to you. It sounds boring, but seriously, the expectations mums often have of themselves can be brutal. Once baby’s feeding and sleep are coming along ok (which is not an easy feat!) there are usually only 2 or 3 things that really matter to you. Work out what they are. Schedule them in. Forget about the other things … they’ll still be there when you have a chance to get to them. Maybe it’s really important to you that you have a quiet half-hour to yourself. Arrange for someone to take baby for a walk. Or to bath baby and play with baby whilst you go for a nap. Or a walk. Or a massage. Think about the things that you can’t get to that are driving you crazy … and quickly you’ll have your list of ‘must do’s’. The biggest tip I hear from mums is to “get online”. Most likely, you already shop, read and organise your life online. Here’s some resources that can help you out with your mummy life too! With a new baby in the house, this is the biggest time-saving win around. Embrace it! Coles offers Click and Collect where you can order online and pick it up at your local Coles service station for free. Woolworths offers a similar service however you pick it up from the drive-through bay at the local store. Both deliver to your door for a fee. Aussie Farmers and Daintree Organics also offer similar services. Or you could ask your local IGA (some of them deliver but don’t advertise it). Find a service that works for you. Whichever option you choose, it’s a great idea to setup a list of ‘staples’ within their ordering system. Then with one simple click, you’ve got everything you need to survive straight into your cart. Grocery shopping in less than five minutes? Yes please! Big W and Ted’s Camera House (there may be others) allow you to upload your photos online, format them and then order them online for pick up in store. You can also have them mailed to you. For tips and ideas for taking great photos with a newborn see my Pinterest Board And if you are looking for a gift where a photo of your newborn won’t quite do, try your online grocery store! They often have great gifts or gourmet food items on special (think DIY hamper of Jamie Oliver Pasta Sauces bundled with Jamie Oliver Pesto & Jamie Oliver Tagliatelle Nests). And let’s face facts: chocolates cover a great many bases too! Doing housework with a new baby like brushing your teeth while eating Oreos! It’s a miracle if the job gets completed and it’s just plain hard work in the meantime. No one expects a new mum to maintain a glowing house. Some people can just let it go. And if you can, that’s great. But if you can’t – hire a cleaner. An average four bedroom house can be cleaned weekly for $70-90 per week, depending on your house, your cleaner and your expectations. Spring cleaning every month or two is another option, which can work out a little cheaper. I can recommend a few quality cleaners who do a great job and clean everything from the inside of your house to your car (which enters a whole new level of dirty once kids arrive!) to your outdoor area and windows. They do spring cleans, regular cleans and home handyman jobs too. Just send me a message with your suburb and I’ll pass on their details. There are a number of companies that come to your driveway to service your car. It beats trying to drop off the car between feeds and then being stranded at the service centre for an unclear amount of time. Google it. Or ask your current car service company if they can come to you. Midwives can help with feeding questions, settling techniques, routines or advice on dietary requirements for a breastfeeding mums. They can also weigh baby and do health checks. Medicare will pay for two midwife visits before baby is 6 weeks of age (you are usually are out of pocket for the midwife’s travel fee – but it’s worth it – check with the midwife how they structure their fees. They can vary.). My mum’s tell me that Kelli at The Midwife Clinic offers a very helpful and supportive in-home service. Let Google be your friend. There are quite a few options here. For all those extra things that need organising or managing – you can outsource those too. If you want your house sprayed by pest control, but you don’t want to be home whilst they do so – the personal concierge will be there to ensure the job gets done. If you want a special gift for someone (who isn’t that into photos of your baby! ), a personal concierge will go shopping for you, or pick up any orders you’ve made over the phone. If you want someone to take your dog for a walk. Or to the vet. Absolutely anything that you would normally do in person, they will do for you. It’s like having a modern day butler. Some new mums are fortunate enough to have a team of family and/or friends nearby with the capacity to help. If you have this – assemble the team and ask them how they’d like to help, and when they are available to help. Similar to the way you would roster a team around you at work, you can roster people to help you out with different tasks in the early weeks. They may be simple tasks such as sweeping the floor or hanging out a load of washing. Having them bring a cooked freezer meal with them is also a great help! People generally want to help, and by letting them help, you are usually investing to strengthen the relationship. Don’t be afraid, give it a go. The transition to motherhood can be exhausting and challenging. Project Motherhood need not be a measure of one’s ability to do absolutely everything themselves. Do what’s important to you, and delegate what you can. Make sure you take some time out for yourself, and are kind to yourself in the process – that way Project Motherhood can be something you can enjoy, rather than merely survive. Do you have any tips or resources you have found useful in helping to take the pressure off? Your recommendation could be an enormous help to another mum.